Cupcakes 'n Daisies: A New Year, A New Start . . .
A New Year, A New Start . . . I hope 2013 is off to a great start for you! Today is the kickoff of Monique's Blogger Girls BOM. 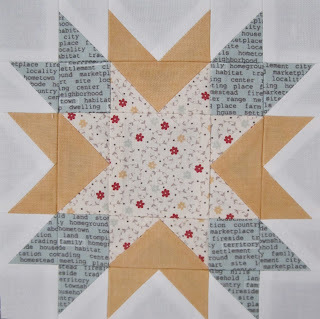 Just in case you're new to my blog, Monique, of Open Gate Quilts, is hosting a free block of the month. The first of the month Monique will post instructions for a block on her blog. Besides Monique's blocks, several other bloggers will also be posting pictures of their blocks for each month. And Block One different version, same pattern, different fabric placement. I like them both, can't pick a favorite! I've decided to us my Hometown by Sweetwater for Moda fabric. I bought some fabric last year when I thought I was going to make that adorable Sweetwater pattern named The Neighborhood. After I got the pattern and found out it was an applique project not a piecing project, that fabric just sat in a bin in my closet. I think it will make a better Blogger Girls BoM project. I'm ready to work with some light colors, Spring may be months away where I live, but not in my sewing room! 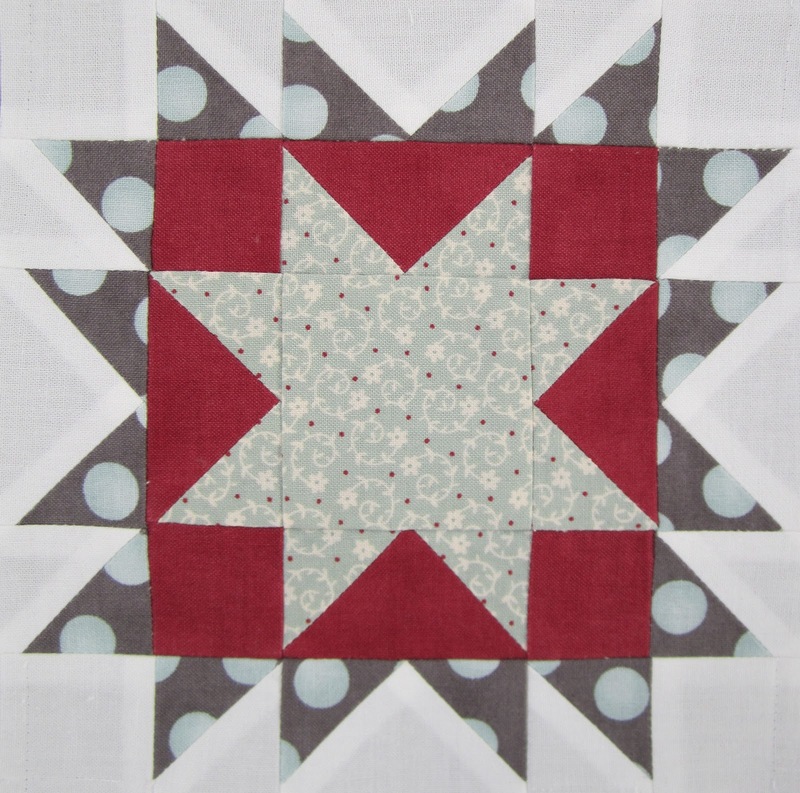 Check out Monqiue's blog, Open Gate Quilts, for instructions on downloading the pattern directions. This is what the finished quilt should look like, well this is what Monique's quilt will look like, mine will probably look somewhat different. You can go with a 6 block project or a 12 block project. 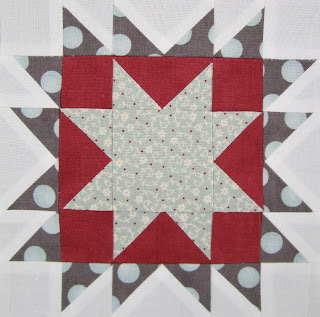 I'm going with the 12 block project, where you make two blocks using the same pattern, but different fabric combinations. We're planning a parade for all the finished tops and have created a Flickr account for everyone to share their blocks. The Flickr Group is named Blogger Girls BoM. FELIZ ANO NOVO! FELIZ ANO TODO INTEIRO!!! I'm surprised at how different these two blocks looks from each other though they're the same block! I've not used this ruler before but it looks like the geese (goose?) is sewn oversized and cut down? Might be just what I need! I'm sure this is going to be beautiful! Wishing you a Happy New Year Thelma! Off to a good start!! I've signed up to participate in the Open Gate BOM with "Holiday in Kashmir". 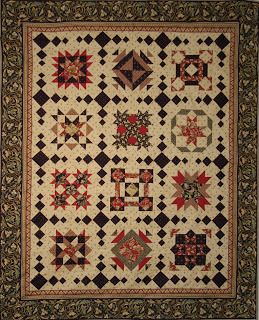 My goal is to have a Christmas quilt for 2013. Love the Sweetwater fabric choice, Thelma. Happy New Year Thelma! I can't wait to follow you this year and see all of your great work. I'm going to dig in my stash tonight and decide which fabric I can use for this Blogger's BOM. It will probably be something Fig Tree related. Maybe California Girl, something spring time like yours. See you again soon! I'm loving this block. And I love your fabric selection. I have a bundle of reunion that seeing these may have turned me towards. 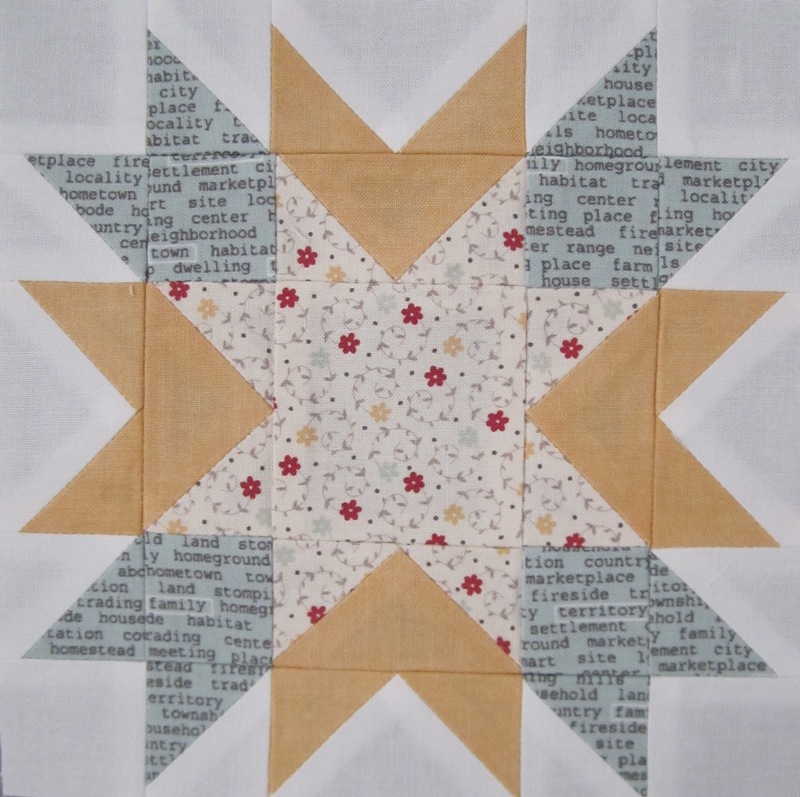 I'm so excited that you are all sewing along and using different lines. This will be fun to watch your progress and join in! I love the Hometown fabrics in these blocks. What a different look your quilt will have to the original. I just adore it, Thelma! I wish I had time to join in but I'm sticking to my 2013 of FINISHING what I've already started. I will follow your progress. It's going to be another stunning quilt!! My Favorite Schnibbles . . . I've Made an Executive Decision . . . .
Home Again, Home Again, Jiggity Jog . . . . When in doubt, wear red . . . . I'm Back at Home and Back at It . . . Taking Down the Trees . . .